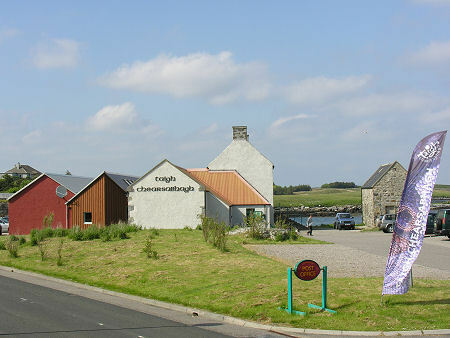 The Taigh Chearsabhagh Trust is a local history and community arts trust serving North Uist, Benbecula, South Uist, and Barra. It provides a range of services for local people and visitors, including exhibitions, publications, commissioning of art works and an arts activities programme. Through the Am Baile project, the Trust aims to make connections between its location, history, creative work and people; to create an archive record of material for research and to inform future creative projects; and to provide source material for schools and colleges, and to help create a useful resource for Gaelic speakers and learners. Relevant projects include development and operation of the Trust's own website, digitisation of photographic archive (through SCRAN), interactive programme on Uist archaeological and historic sites, 'Passing Places' video documentary, and various arts programmes.